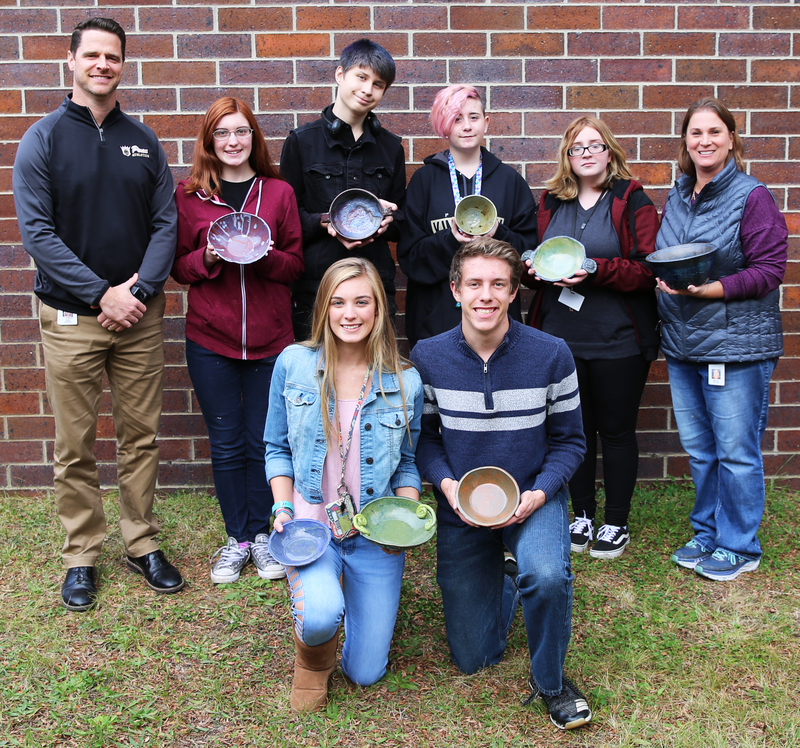 Penn High School Principal Sean Galiher, Ceramics Instructor Becky Brown with Penn Ceramics students who made food-safe ceramic bowls as a fundraiser for the Empty Bowls Project. 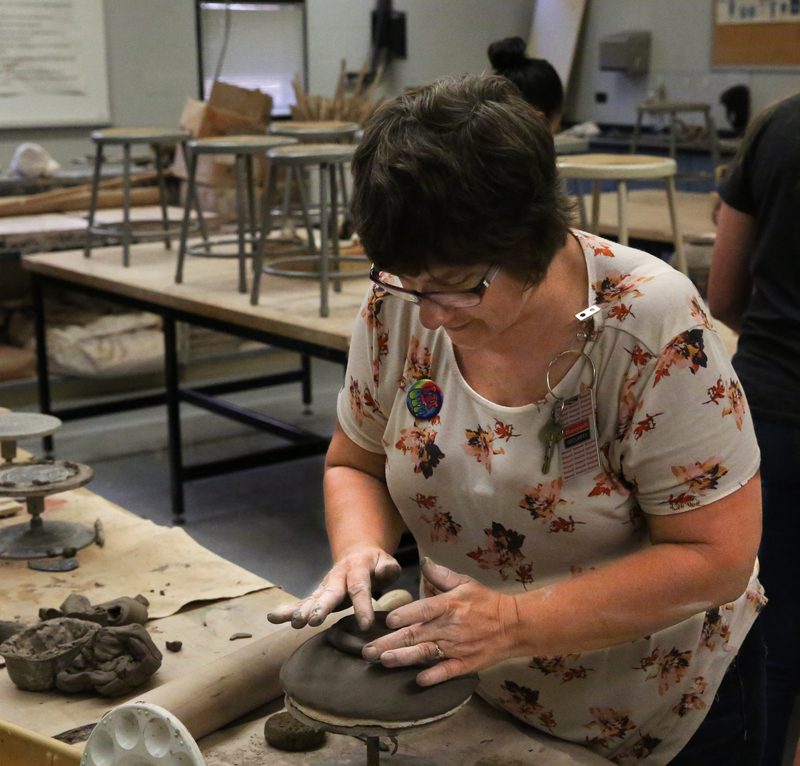 Penn High School Ceramics Instructor Becky Brown put on a pair of orange welder’s gloves that reached up to her elbow. 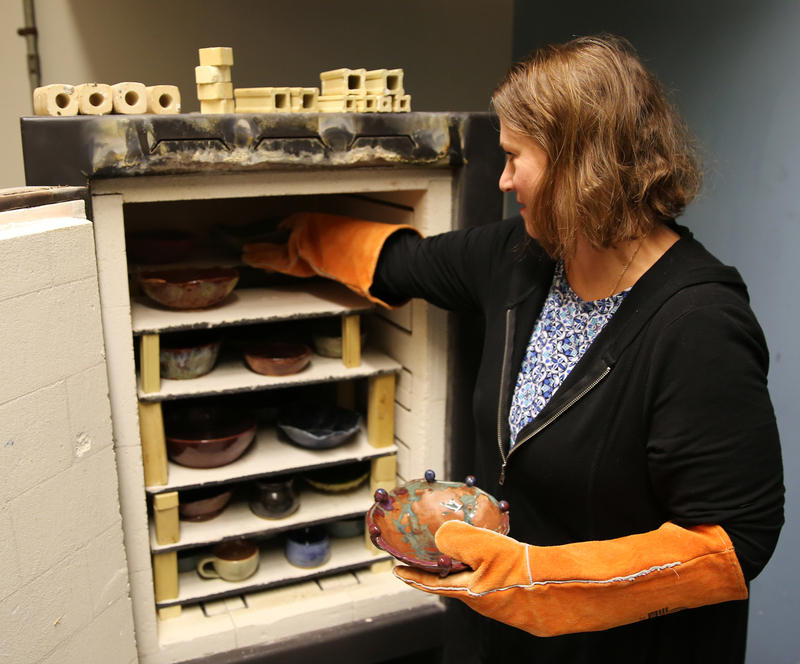 She then opened the door of a kiln that cooled off from a fiery temperature of more than 2,000 degrees, and took out shining bowls that beamed a dazzling array of reds, oranges, greens, blues and yellows. 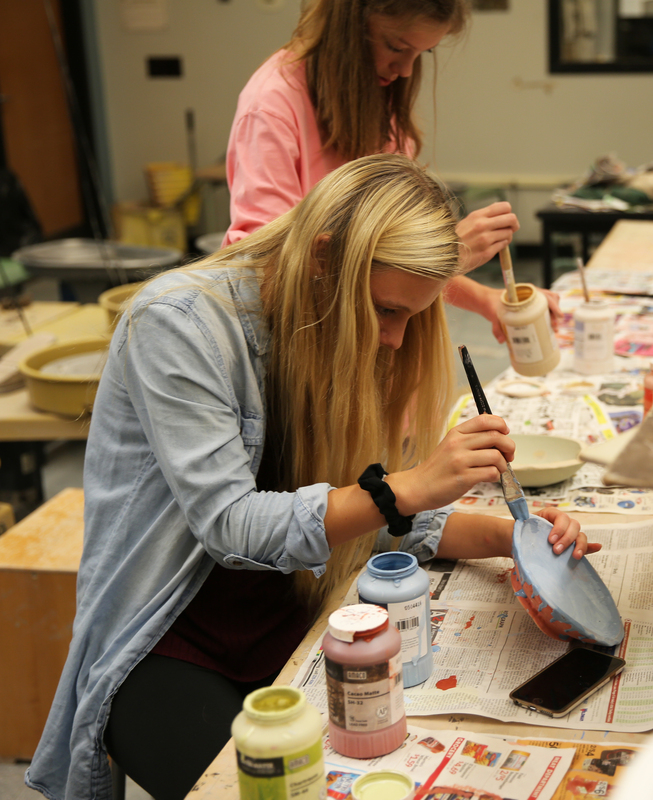 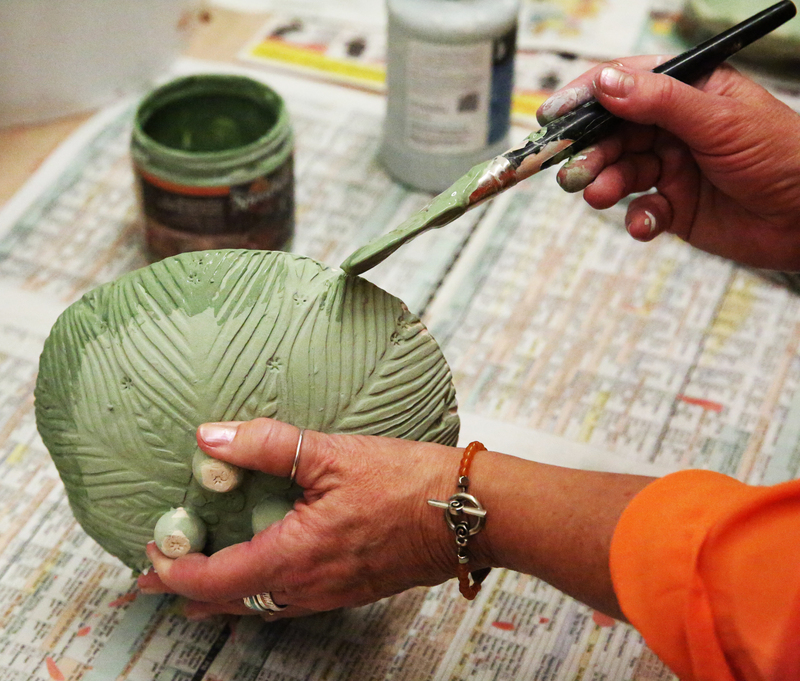 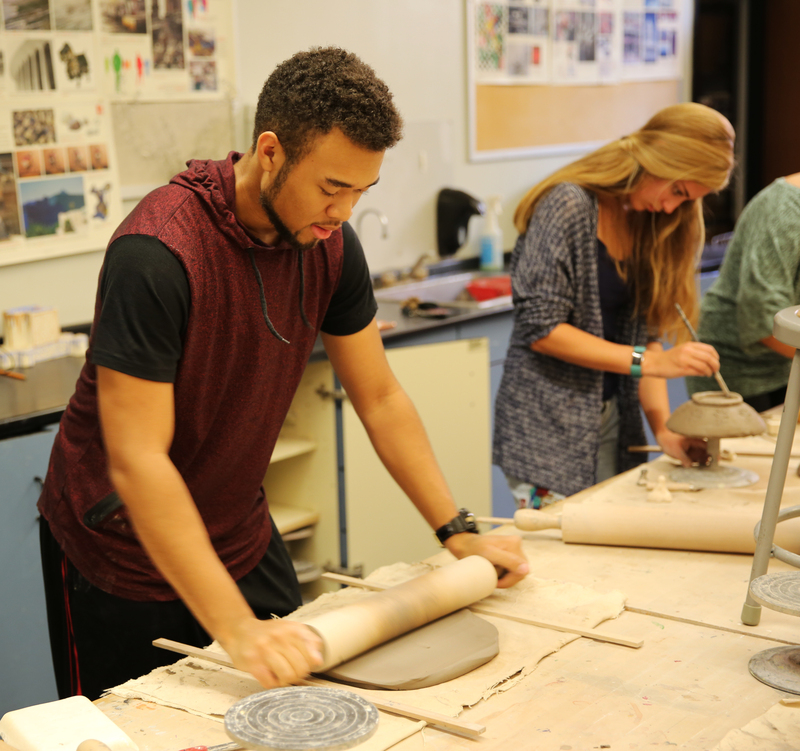 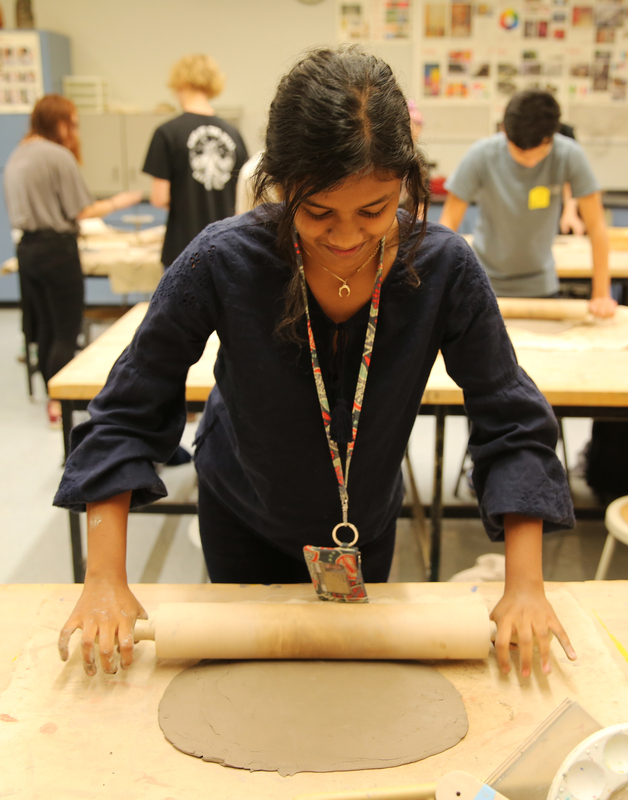 Brown and her Ceramics students, along with the Penn Art Club, crafted nearly 160 bowls for the Empty Bowls Project, a fundraiser to fight hunger. 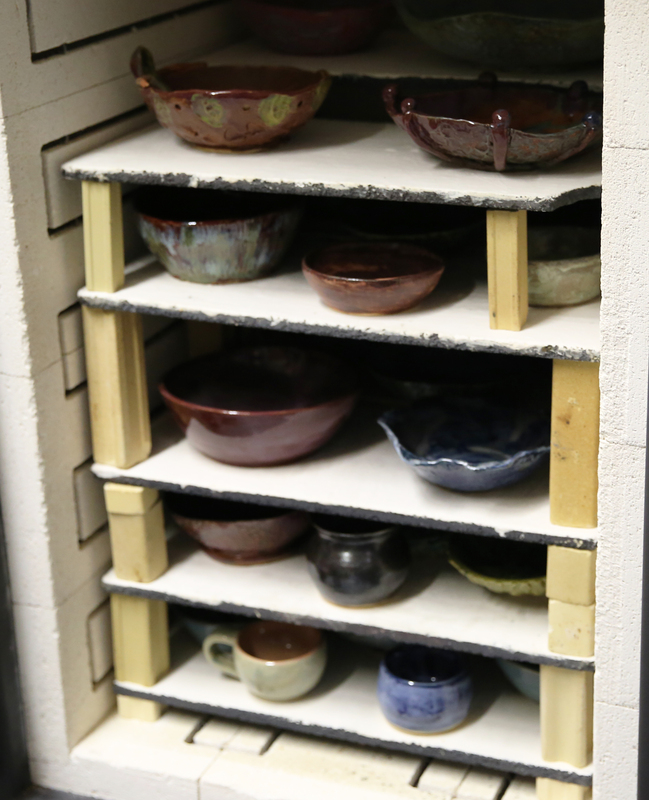 A Charity Dinner was held on Friday, Nov. 2, at the Mishawaka Food Pantry (315 Lincolnway West, Mishawaka). 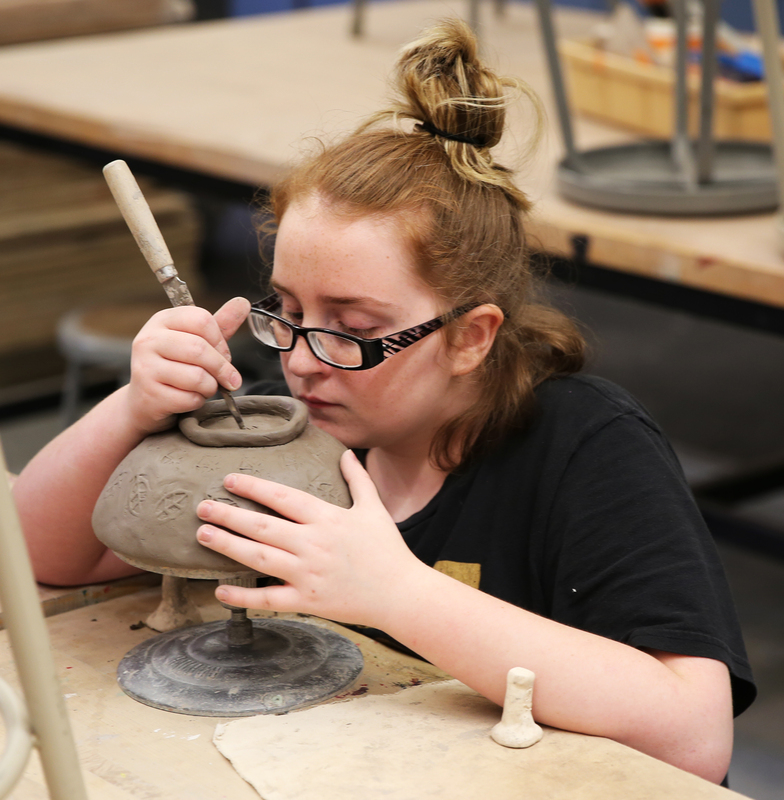 Soup and bread from local restaurants was served to patrons, who then chose their favorite food-safe ceramic bowl crafted by a Penn student to take home. 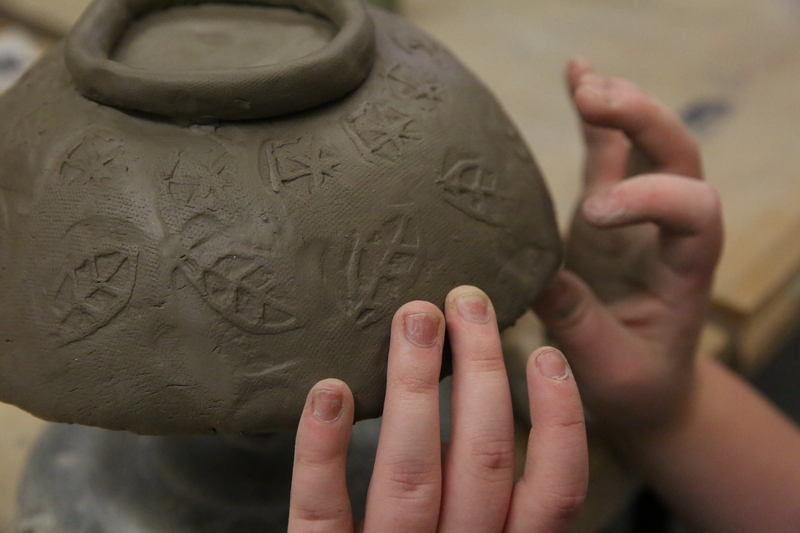 This is the 10th year Penn has made bowls to help with a charity dinner dedicated to fighting hunger. 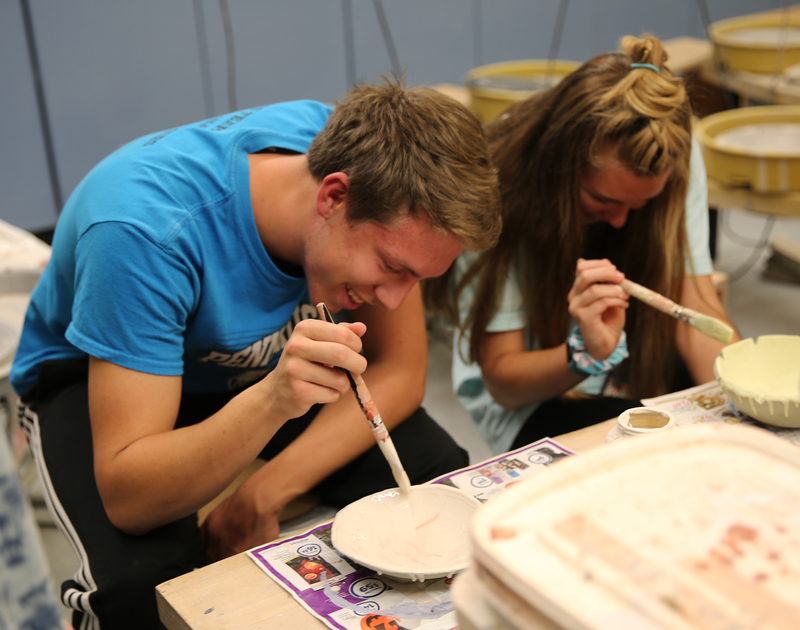 The Parrot Heads of Michiana, working with Penn students and area restaurants, raised several thousand dollars each year to benefit the Senior Nutrition Program of REAL Services in the past. 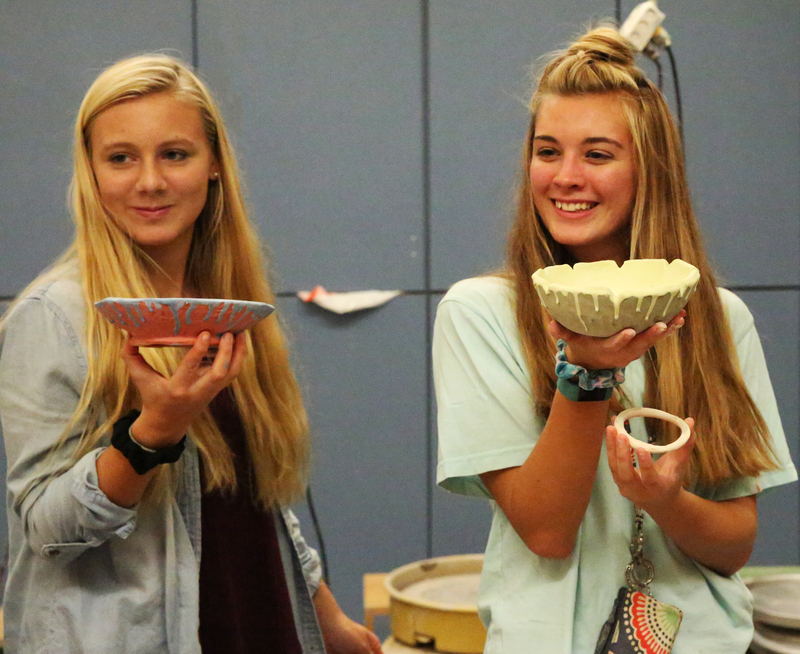 This year’s event benefited the Mishawaka Food Pantry. 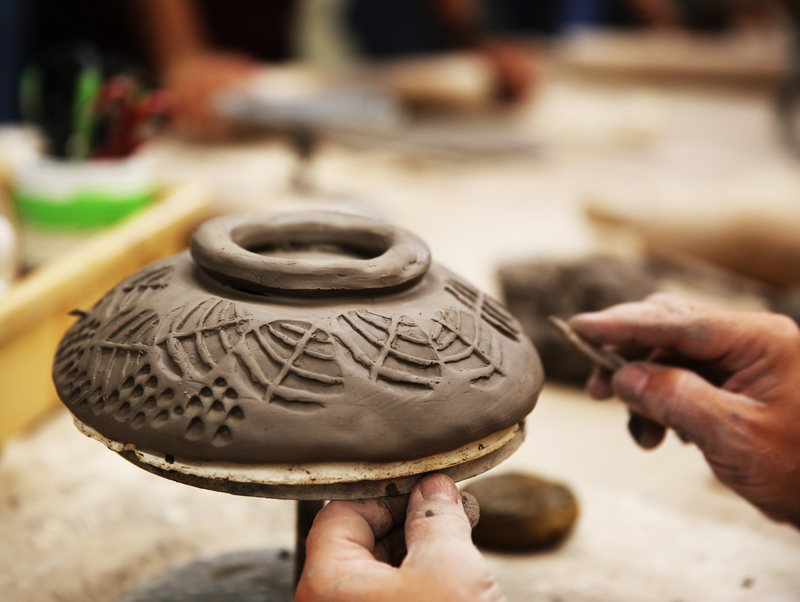 After a four-year hiatus, the event was re-started. 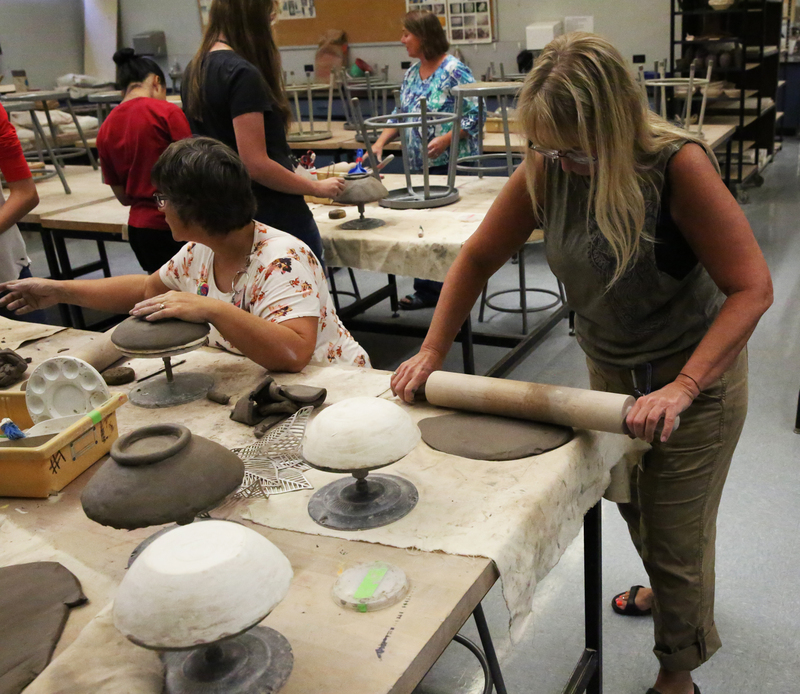 “It became difficult to find places to hold the event, so it was canceled for a few years,” Brown said. 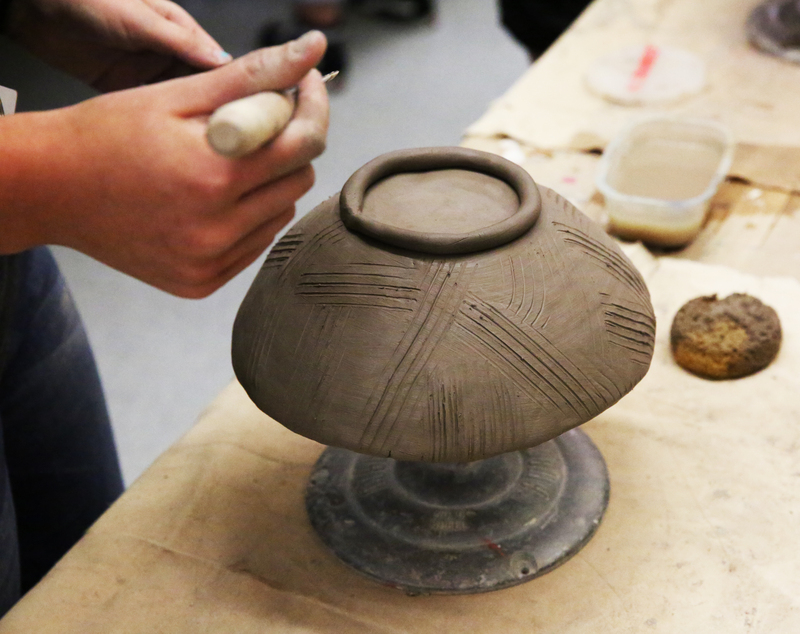 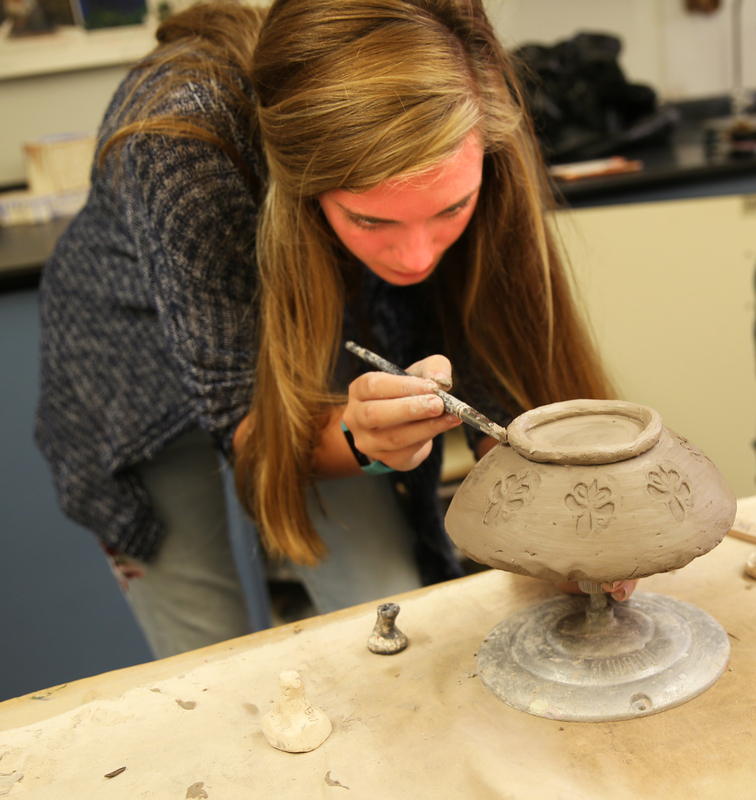 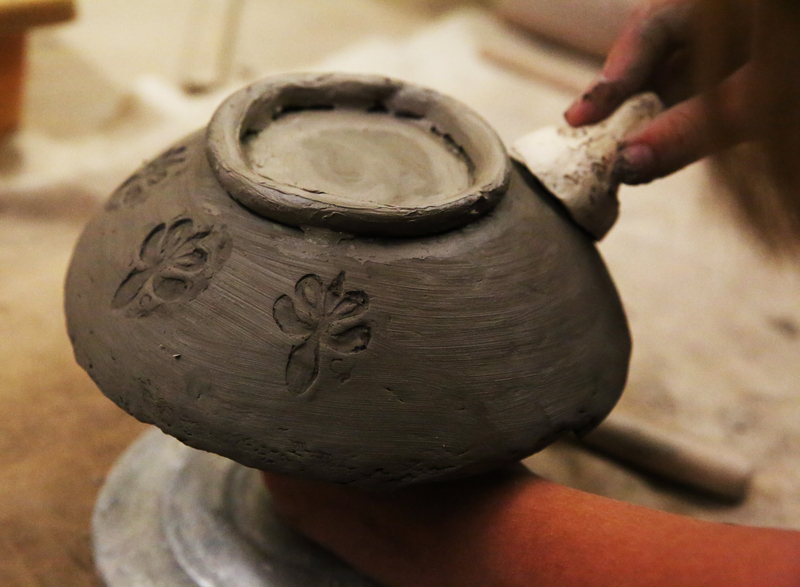 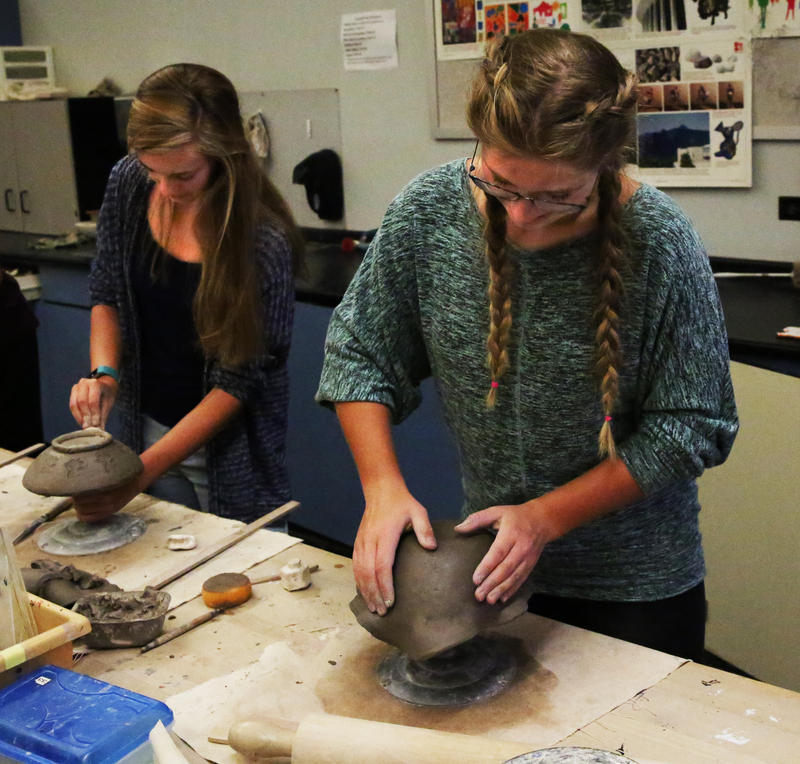 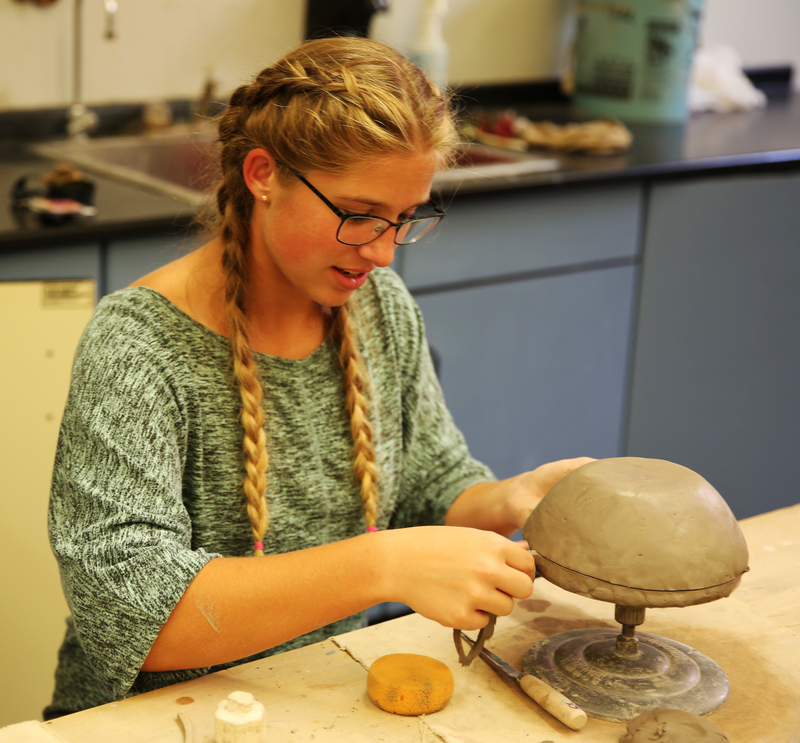 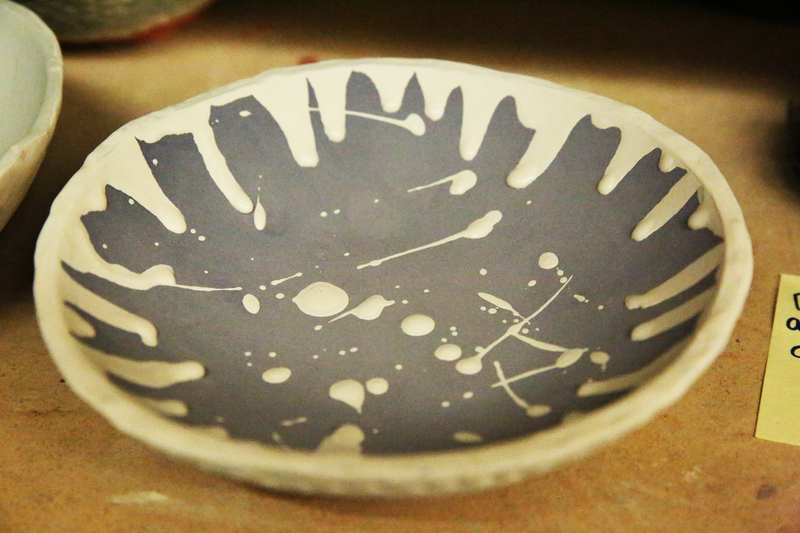 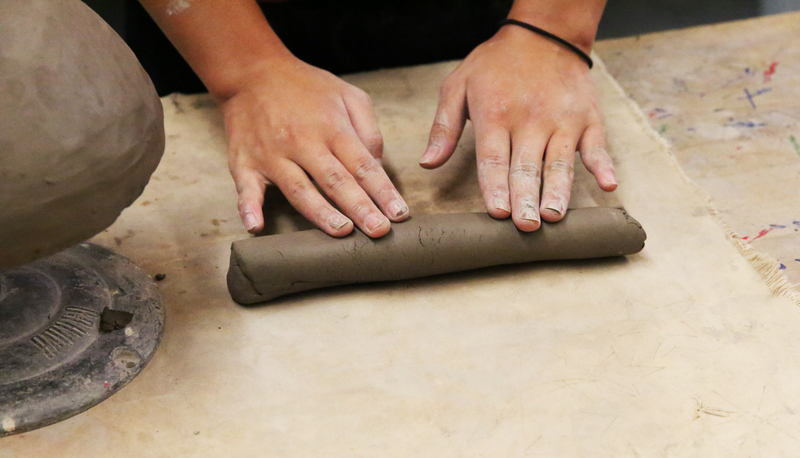 “It was sad to see it come to an end several years ago, so when I got email late September to see if I could help again, I decided to find a way to make it work, even though my students had already made their bowls (for a class assignment). 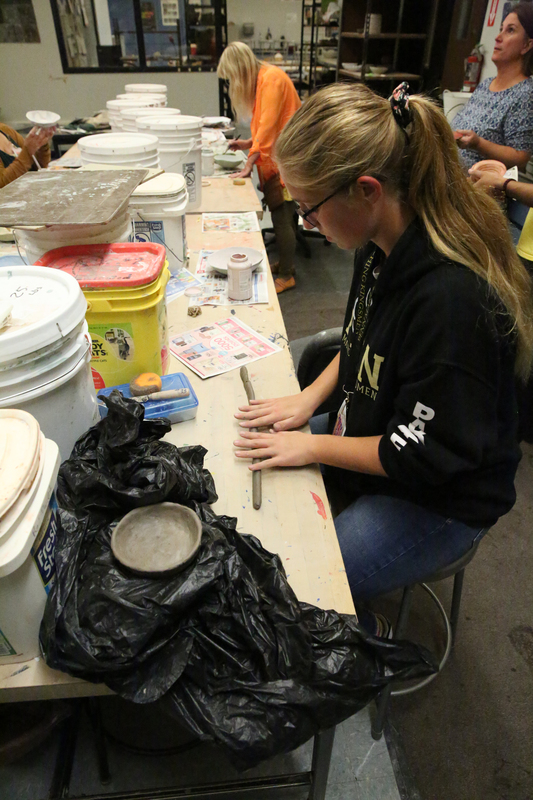 For the next two weeks, Penn students came in after school or during their study halls to make enough bowls for the event. 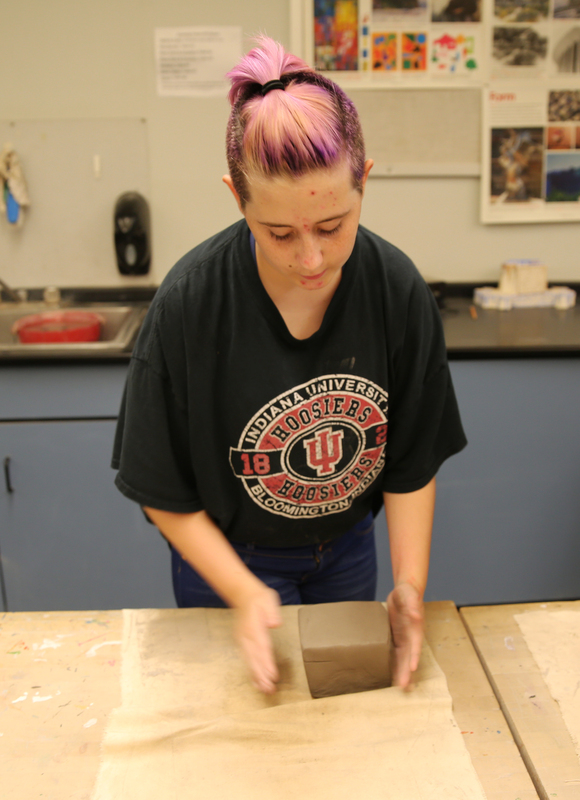 Brown said that she appreciates the opportunity to blend a learning activity with service to the community. 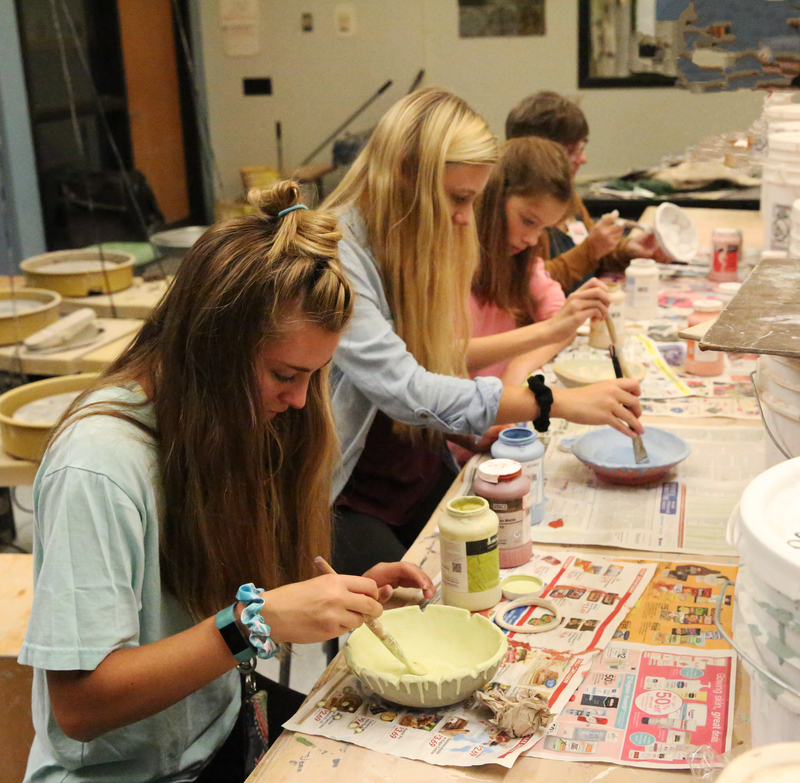 “This helps students learn to give back to the community and that they came make a difference in someone's life who is in the need of help,” Brown said.